What is prayer? Prayer is communicating with the Godhead; God the Father, God the Son and God the Holy Spirit. Prayer is having a loving relationship with the Creator of the heavens and the earth. Prayer is talking to God. It’s as simple as that. Some people believe that prayer is complicated. How do I pray? What should I say? Prayer is not difficult. Think of prayer as if you’re speaking with your best friend. God wants us to communicate with Him. He loves interacting with us. He loves for us to include Him in every part of our lives. It’s not enough to know about God, to know that He exists. Having a deep and personal relationship with Him makes all the difference in your life. 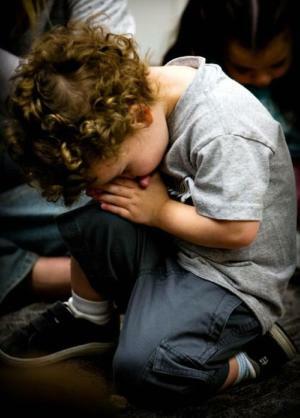 When you are a child of God, He hears your prayers. You can pray in church, in a group, or by yourself. You can pray anywhere and at anytime. You can pray silently or out loud. Pray in faith and hope. Pray without doubting. Pray with the right motives. The most important thing is having that special time with the Creator. It’s the time you acknowledge His magnificence, confess your sins, give thanks for all His blessings upon your life, and the time to express your love for Him. It’s the time you share your concerns, your desires, and your needs in your everyday life. Prayer should not be done for show. When alone, go to a private place where there are no distractions and spend quality time with your heavenly Father. Having that one on one time with God is crucial in our daily lives. You can hear His voice through His Word, or through His still small voice. Worshiping God through prayer brings us closer to Him. It changes us. It changes our lives. It changes our circumstances. It gives us peace. It gives us joy. It strengthens us. It builds our faith. God answers our prayers in three ways; YES..WAIT..or NO..(I've got something better!) It’s the waiting that can be the hardest, but God’s timing is always perfect. Sometimes the answer to our prayers is hindered because we are walking in sin. If you feel this is happening to you, ask the Lord to reveal anything in your life that is not pleasing to Him. God will make you aware of your sins so that you may confess them and repent. Then trust that He will answer your prayers. The place of prayer is where you meet with God to be instructed, corrected, cleansed, loved, built up and prepared to do His will. It can be anywhere, but it must be somewhere! It can be anytime, but it must be a set time. Without prayer, what do you have to draw on? You'll work harder and harder and accomplish less and less because you're operating in your own strength. But after you've prayed you'll struggle less and accomplish more because you're operating in God's strength. If you're spending hours watching television but say you've no time to pray, 'It is time to seek the Lord.' If you're living comfortably with sins that once troubled you, 'It is time to seek the Lord.' If you're speaking words of bitterness towards someone who hurt you, 'It is time to seek the Lord.' If having material things consumes so much of your energy that there's none left for God and your family, 'It is time to seek the Lord.' The New Testament church grew so fast that the apostles found themselves with no time to pray. So they said, '...It is not right...' (Acts 6:2 NCV) That's where you must start! If you've forsaken the place of prayer it will show up in your attitudes and actions. What did the apostles do? They said, '...we will give ourselves continually to prayer...' (Acts 6:4 KJV) And look what happened: '...the Word of God increased; and the number of the disciples multiplied...' (Acts 6:7 KJV) If you've come this far with little prayer, inconsistent prayer, or no prayer, think how far you'll go when you begin to pray. We as Christians are commanded to pray. Don't quit praying if it doesn't happen within your schedule. Our Heavenly Father knows best when to answer our prayers. Worship God through your prayers. Be encouraged and pray to your heavenly Father today and every day. He really loves hearing from you! Please pray for the people in the countries that have had destruction from hurricanes, floods, earthquakes, fires, and tornadoes, from famine and disease, and also pray for the people in countries that are at war and in great turmoil. Please pray for our world leaders, for their protection, and that they will make Godly decisions. Please pray that this website and others like it will touch more lives and bring more souls into the Kingdom. And please pray for the peace of Jerusalem, and for the protection of ISRAEL and its leaders from attacks by all those who want to destroy God's chosen people. The following video is an amazing rendition of "Sweet Hour of Prayer". Take a moment, close your eyes and enjoy this beautiful music. Your spirit will be blessed. Do you need prayer? Do you have a prayer request? Go to PRAYER REQUESTS and send us your prayer needs.